Second part of Elegance of Fashion's survey! 11. Which period drama which you haven't seen yet do you most want to watch? 12. Which period drama has the prettiest soundtrack or background music? Hmm. 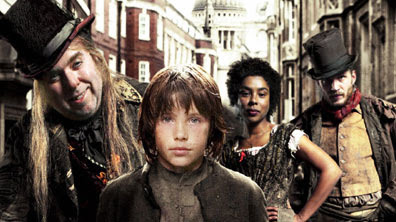 That's not really something I tend to notice, but I do like the music from Oliver Twist (2007) and the Vanity Fair miniseries. 13. Which period drama has your favourite screenplay/script? Why? Hmmmmmmm. 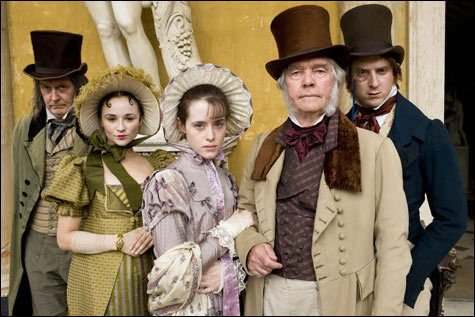 I liked what Andrew Davies did in Northanger Abbey - he picked the right bits to include, I think, although the actors' charisma was also a big part of what made that one work. 14. Do you like having multiple versions of some period dramas? Do some period dramas need a newer version? Or are the older versions better? I love having multiple adaptations! If one's not great, it means you don't have to be annoyed because there already was or will be a better version. They can show different aspects of characters and react to earlier versions by being more fairy-tale or more gritty. I'd like to see a new adaptation of A Little Princess, personally, because the Cuaron version is lovely but more a remake of the Shirley Temple version than anything else, and the 1986 version looks dreadful but is more faithful (which makes the story 100x better). 15. What is the longest period drama you've seen? Little Dorrit, maybe? It's 14 parts (though most are half-hour episodes). 16. Who are your favourite actors/actresses from period drama? Romola Garai, definitely. Sophia Myles. Russell Tovey, Michelle Dockery, Brendan Coyle, Stephen Campbell Moore, Matthew Macfadyen, Keeley Hawes, Phillip Glenister, Laura Fraser, Rupert Penry-Jones, Julian Rhind-Tutt. 17. Do you prefer watching a regular-length movie or a more in-depth mini-series? Why? Something in between - I like a short miniseries, two to four episodes. Movies usually take out too many characters, often minor ones that I like, but long miniseries don't take out enough. Part of the point of turning a book into a film version, in my opinion, is changing some aspects, not putting every single canon line of dialogue on screen. 18. What period drama has one of your favorite actors/actresses in it? I've rarely come across anything that didn't have at least one of my favorites in it. You saw my list! And I have lots more. 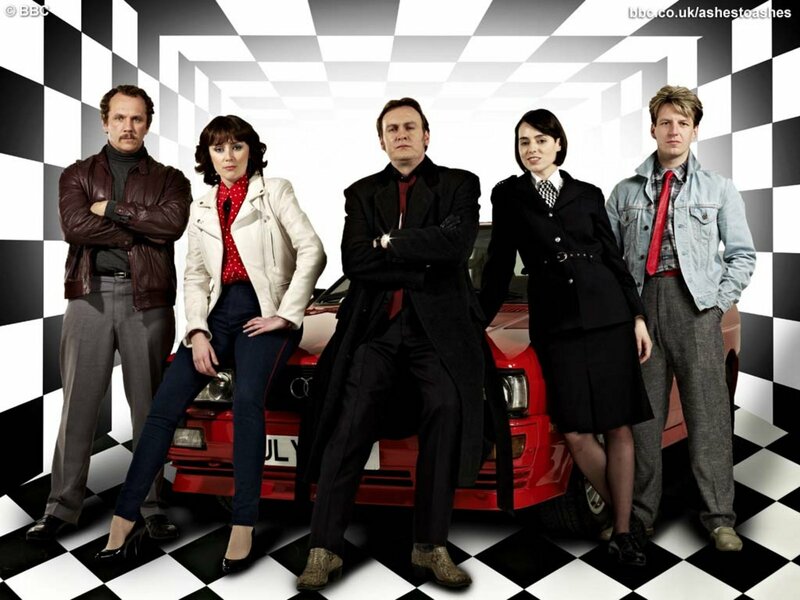 Ashes to Ashes is kind of multi-genre, but it is set in the past, and it has Keeley Hawes and Phillip Glenister, with Stephen Campbell Moore in a recurring role for the first series and Matthew Macfadyen and Russell Tovey in one-off parts. 19. Which heroine from which movie was your least favorite? Why? I guess Lea in Chéri was pretty awful. Some of it was the writing, it was a boring movie in general, some of it was the acting, some of it was the fact that she was having an affair with someone she'd known as a child to teach him ~the ways of love~ because his mother asked her. 20. Which three period dramas are your least favorite? 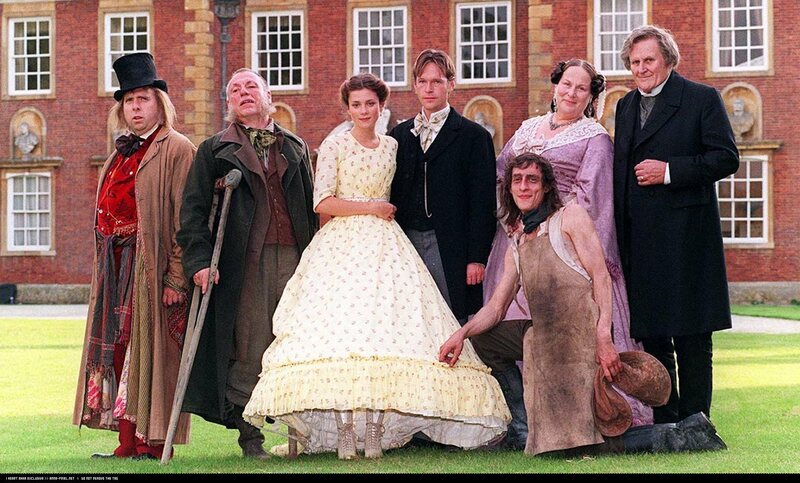 Northanger Abbey (1986) - Not very pretty, on the whole, and Henry was a prig. Chéri - I just couldn't care about anything that happened in it, plus what I said above; the fact that it dragged magnified every flaw. 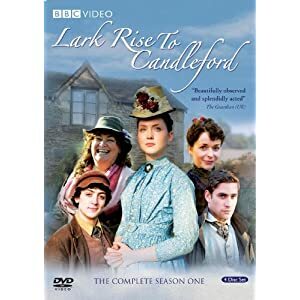 Lark Rise to Candleford - At first I loved it, but the last couple of seasons felt like they were just making it because it was successful and they didn't want to just cancel it. But the characters became flat, the narrative lost sympathy for characters it was previously kind about, and Laura's story just ... stopped. Bonus: There is a hilariously cheesy movie out there called The Lady and the Highwayman. It's based on a Barbara Cartland novel and has a very young Hugh Grant as the highwayman. You must see it, it's so ridiculous and is sure to cheer you up whenever you're down!